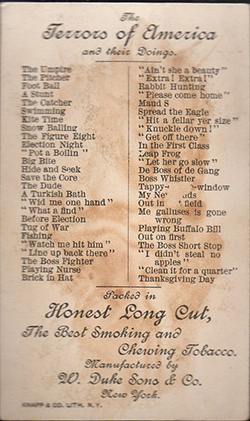 Duke released this series of 50 large cards featuring The Terrors of America as a follow up to their smaller issue N88 set. 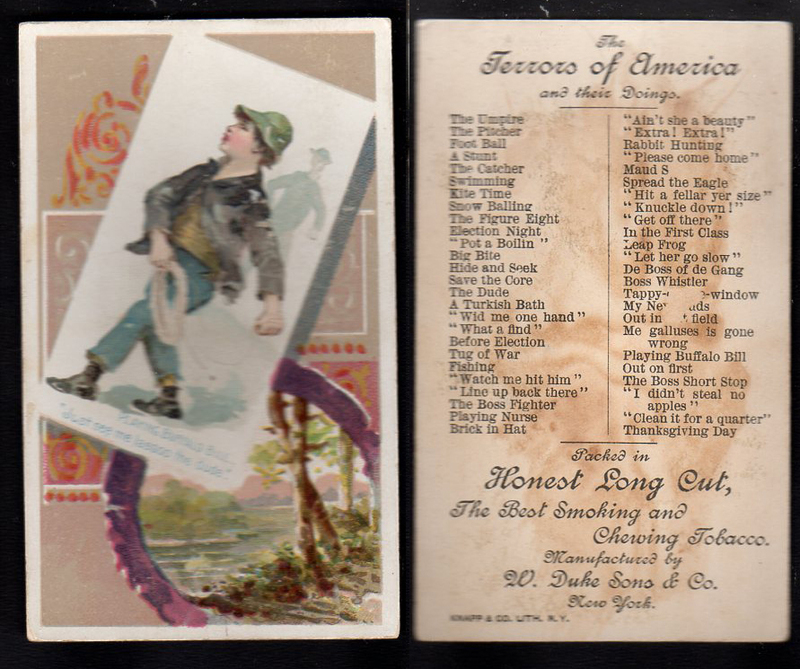 These large cards were issued 1889. 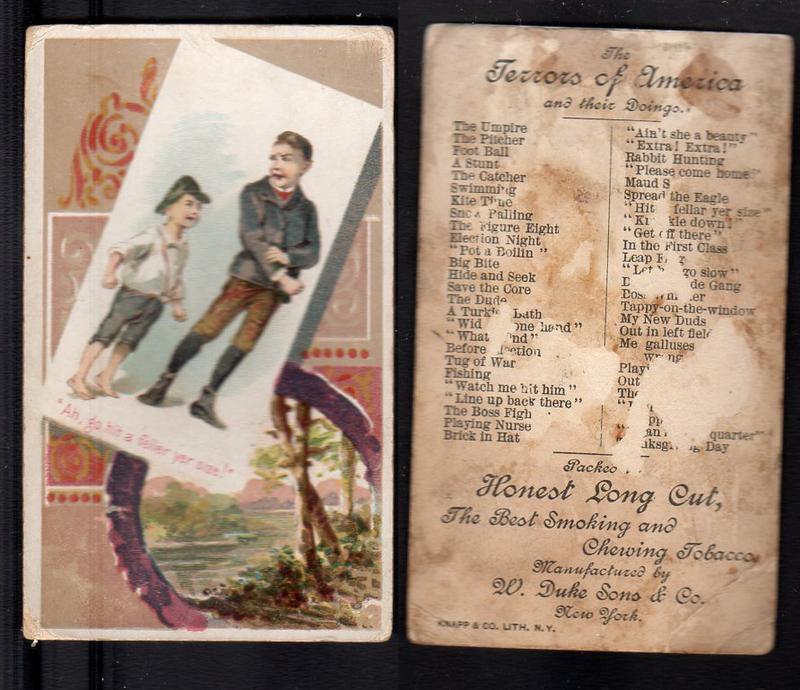 The cards were included with W. Duke Sons & Co. Honest Long Cut tobacco and show the Terrors of America - young boys at play and creating mischief. 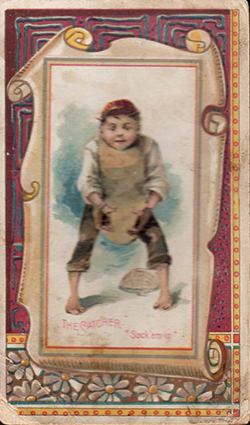 Some of the cards feature baseball and football themes. The backs include a checklist for the cards. These large cards measure 2-1/2" X 4-1/16". Knapp & Co. did the lithography.